Use this handy-dandy website to find behavioral health services in your area. You can adjust the distance from your location and search by street address or zip code. Neat. Keep in mind that this site does not locate educational or peer support resources. It’s great for finding counseling and medication management services, but if you’re looking for classes or support groups, your best bet is to contact NAMI or a like-minded advocacy group such as the Depression Bipolar Support Alliance (DBSA). I’m afraid to go to sleep. For the last four nights, I’ve woken with the residuals of nightmares. The moods they evoke take time to dissipate. I drink coffee and will the feelings back. Numbness rushes in to fill the space. Then yesterday I started having flashbacks, dissociating, and hyperventilating. Nothing triggered it. I haven’t had intrusive PTSD symptoms for over two months, even with the stress I’ve been under. I was in the middle of a support group meeting. It was embarrassing. The flashbacks receded today, but the anxiety and dissociation keep creeping up on me. I can’t drive because I intermittently float out of my body. People speak to me and I can’t focus on their words; I just stare at them and do my best to feign comprehension. I dig my nails into my arm to try to keep my mind connected to my body. I breathe diaphragmatically. These past couple of days have reminded me not to get cocky. Never turn your back on your illness. Your mind will get the better of you if you don’t keep your eye on it. I don’t want to backslide. I’ve made a lot of progress in the past few months. I’m determined to learn to live with this and not let it control my life. Concurrently, I know that I need to be honest with myself about my limitations. It’s a balancing act. I don’t think I’ll ever get it fully under control. Things happened to me when I was too young to articulate them and they come to the surface sometimes. I don’t try to process them. I attempted that several years ago with a therapist, desensitization therapy. It was too much all at once. My symptoms have been much more frequent and intense since then. Because I can’t clearly recall things, and because no one can fill in the gaps, it isn’t possible to examine the memories and put them in perspective. All I get are sensations, shards of visions, and waves of confusion and fear. I have no desire to dig into that mess, so I have to contain it. I’m hoping that it will die back down after a couple of days of TLC and sustained efforts. But it will always be straining beneath the surface. All I can do is breathe and prepare for the next time. The new Diagnostic and Statistical Manual of Mental Disorders, 5th Edition (DSM-5) has a number of changes to post-traumatic stress disorder (PTSD), trauma and stress-related disorders, as well as reactive attachment disorders. This article outlines some of the major changes to these conditions. According to the American Psychiatric Association (APA), the publisher of the DSM-5, there are some significant changes in this category from the diagnostic criteria that appeared in the previous edition, DSM-IV. These include changes to PTSD criteria, acute stress disorder, adjustment disorders, and reactive attachment disorder, a childhood concern. Post-traumatic stress disorder undergoes some major changes in the DSM-5. For example, the first criteria is far more explicit in what constitutes a traumatic event. “Sexual assault is specifically included, for example, as is a recurring exposure that could apply to police officers or first responders,” notes the APA. “Language stipulating an individual’s response to the event — intense fear, helplessness or horror, according to DSM-IV — has been deleted because that criterion proved to have no utility in predicting the onset of PTSD.” So goodbye to the current Criterion A2 from the DSM-IV. Re-experiencing the event — For example, spontaneous memories of the traumatic event, recurrent dreams related to it, flashbacks or other intense or prolonged psychological distress. Avoidance — For example, distressing memories, thoughts, feelings or external reminders of the event. blame of self or others, to estrangement from others or markedly diminished interest in activities, to an inability to remember key aspects of the event. DSM-5 will include the addition of two new subtypes. The first is called PTSD Preschool Subtype, which is used to diagnose PTSD in children younger than 6 years. Post-traumatic stress disorder is also now developmentally sensitive, meaning that diagnostic thresholds have been lowered for children and adolescents. The second new PTSD subtype is called PTSD Dissociative Subtype. It is chosen when PTSD is seen with prominent dissociative symptoms. These dissociative symptoms can be either experiences of feeling detached from one’s own mind or body, or experiences in which the world seems unreal, dreamlike or distorted. Also, according to the APA, the DSM-IV Criterion A2 regarding the subjective reaction to the traumatic event (e.g., “the person’s response involved intense fear, helplessness, or horror”) has been eliminated. This criteria appeared to have little diagnostic utility. Based on evidence that acute posttraumatic reactions are very heterogeneous and that DSM-IV’s emphasis on dissociative symptoms is overly restrictive, individuals may meet diagnostic criteria in DSM-5 for acute stress disorder if they exhibit any 9 of 14 listed symptoms in these categories: intrusion, negative mood, dissociation, avoidance, and arousal. Adjustment disorders are reconceptualized in the DSM-5 as a stress-response syndrome. This takes them out of their residual, catch-all category and places them into a conceptual framework that these disorders represent a simple response to some type of life stress (whether traumatic or not). This category of disorders remains a place to diagnose a person who doesn’t otherwise meet the criteria for another disorder in the DSM-5, such as a person who doesn’t meet the full criteria for major depression. The subtypes — depressed mood, anxious symptoms, or disturbances in conduct — from the DSM-IV remain the same for the DSM-5. Reactive attachment disorder is subdivided into two distinct disorders in the DSM-5, based upon the DSM-IV subtypes. So we now have reactive attachment disorder which is separate from disinhibited social engagement disorder. important ways.” The two disorders differ in many ways, including correlates, course, and response to intervention. The APA suggests that reactive attachment disorder more “closely resembles internalizing disorders; it is essentially equivalent to a lack of or incompletely formed preferred attachments to caregiving adults.” In reactive attachment disorder, there is a dampened positive affect — the child expresses joy or happiness in a very subdued or restrained manner. The Diagnostic and Statistical Manual of Mental Disorders, version 5 (DSM-5) is due out any moment now, and in it, there are changes to the diagnosis of bipolar disorder. The changes aren’t huge, but they are worth knowing about if you have bipolar disorder. Here’s an overview of what the DSM-5 does to bipolar disorder. Bipolar disorder and depression have now each been placed in their own chapter in the DSM-5. Whereas once we had a mood disorders chapter, now we have a Bipolar and Related Disorders and a Depressive Disorders chapter. This separation may not seem like a big deal, but it seems to signal a move away from thinking about depression and bipolar existing along a spectrum, and this is a change I disagree with. There is no longer a “Bipolar Not Otherwise Specified” diagnosis, now there is an “Other Specified Bipolar and Related Disorder” diagnosis. This diagnosis is designed to take into account people who may, for example, have a history of depression and meet all the criteria of hypomania, except the duration. Similarly, if a person has too few symptoms to meet the bipolar II criteria, but has been symptomatic for more than four days, they may also fall under this new diagnosis. The “with mixed features” specifier denotes a mood that simultaneously contains both manic/hypomanic and depressive symptoms. It is interesting as it can be applied to any mood: manic, hypomanic or depressed (including unipolar depression). This is a fairly major change as previously mixed moods could only officially be diagnosed in bipolar I mania. The “with anxious distress” specifier is designed to denote patients suffering from anxiety symptoms that are not part of the bipolar diagnostic criteria. What Do the DSM-5 Changes Mean for People with Bipolar? If you have bipolar I, bipolar II or cyclothymia, that won’t have changed. You might get a new specifier added on, but that’s about it. Other than that, it’s mostly just a few word changes. In all, people with bipolar disorder got off easy with very few changes, which is good in terms of healthcare coverage and billing codes. Research from North Carolina State University, the Research Triangle Institute (RTI) and the University of South Florida shows that outpatient treatment of mental illness significantly reduces arrest rates for people with mental health problems and saves taxpayers money. “This study shows that providing mental health care is not only in the best interest of people with mental illness, but in the best interests of society,” says Dr. Sarah Desmarais, an assistant professor of psychology at NC State and co-author of a paper describing the research. The researchers wanted to determine the extent to which treating mental illness can keep people with mental health problems out of trouble with the law. It is well established that people with mental health problems, such as schizophrenia or bipolar disorder, make up a disproportionate percentage of defendants, inmates and others who come into contact with the criminal justice system. The researchers identified 4,056 people who had been hospitalized for mental illness in 2004 or 2005 and then tracked them from 2005 to 2012. The researchers were able to determine which individuals were receiving government-subsidized medication and which were receiving government-subsidized outpatient services, such as therapy. The researchers were also able to determine who was arrested during the seven-year study period. The researchers also compared criminal justice costs with mental health treatment costs. Individuals who were arrested received less treatment and each cost the government approximately $95,000 during the study period. Individuals who were not arrested received more treatment and each cost the government approximately $68,000 during the study period. “It costs about $10 less per day to provide treatment and prevent crime. That’s a good investment,” Desmarais says. Mental health and mental illness used to be something that people didn’t talk about, but now it seems every time we open a newspaper we are hearing about the importance of mental health, or the consequences of mental illness. At this point in our history we understand mental illness and mental health to be largely influenced by biological factors, specifically, workings of the brain. At the same time, we have always known that social factors play a very strong role in promoting mental health and can make big differences in who gets mentally ill, who gets treated for mental illness, and how people can achieve good quality of life after a mental health diagnosis. This course is an opportunity to explore how social practices and ideas contribute to the ways in which society, families and individuals are affected by mental health and mental illness. We will look at issues like why some people think mental illness is a myth, how people think about mental health and illness in different cultures, who gets mentally ill and why, how families are affected by mental illness and what interventions are available to treat mental illness and promote mental health. 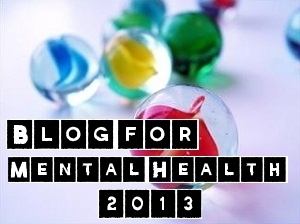 Week Two: What is mental health and what causes mental illness? A basic background in introductory psychology is recommended. Although the class is designed to be self-contained, students wanting to expand their knowledge beyond what we can cover in six weeks can find a much more extensive coverage of this topic in the books listed below. Please note: These books are not required for completion of the course. Mental Health Social Work Practice in Canada by Cheryl Regehr and Graham D. Glancy, published by Oxford University Press. The Provincial Asylum In Toronto: Reflections on Social and Architectural History edited by Edna Hudson, published by The Toronto Region Architectural Conservancy. The class will consist of lecture videos, which are between 8 and 12 minutes in length. These contain 1-2 integrated quiz questions per video. There will also be standalone homework assignments that are not part of video lectures, and a final exam. What is the coolest thing I’ll learn if I take this class? Mental health plays a role in every facet of life and if you know more about it, you can do more to keep yourself and the people you care about mentally healthy. My brain often speeds up at night. I used to feed it. Now I fight it.